Unified Taekwon-Do will accept proposals for sanctioned World Championships, continental championships, the K-9-1 Cup and invitational tournaments. Budget for the event, including but not limited to venue, advertising, transportation, medical personnel, medals, equipment, etc. Travel guidelines, accommodations, transportation, local attraction and tourism for the region. Unified TKD sanctioned tournaments must use the official Rules as distributed by the Tournament Director. Any deviations from the rules must be approved in advance. The Tournament Director and President must grant prior approval for any official invitations or VIP’s. 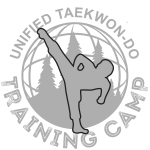 The use of the Unified TKD logo is allowed only at sanctioned tournaments unless written permission is otherwise granted. Any logos or designs that will be used or visible at the event must be approved by the Tournament Director. All other logos that will be visible at a sanctioned tournament must be approved by the Tournament Director. This includes logos for organizations, teams and sponsors. The design for the official medals that will be presented must be approved by the Tournament Director. A medal presentation plan, including winners podium and a list of presenters must also be approved prior to the start of the tournament. Unified TKD must be given prior notice of any special events, tours, promotional test, seminars, etc. that will be associated with the tournament. Fees for any seminars, referee/umpire courses and promotional testing conducted will be paid to Unified TKD. The host must provide conference rooms for any necessary meetings including but not limited to umpire and coaches meetings as well as an area for administrative needs. The host is responsible for making sure that all participants sign waivers of liability for Unified TKD, its representatives and local host/organization. The host must provide sufficient staff for security, emergency first aid, and medical attention as well as any on or off premise medical treatment. The host is responsible for obtaining insurance for the event and must include coverage for the local host/organizing committee as well as the Unified TKD and its representatives. A copy of the insurance must be submitted to the Tournament Director at least one month prior to the event. All competitors must have a Unified TKD membership. Participants, including coaches, must be issued an identification badge including photograph and number which should be worn around the neck. Officials, umpires, event staff and committee members will be issued photo identification to be attached to their dress clothes. Personal information for the competitors is property of Unified TKD and cannot be used or distributed by the host or any other party. The host is responsible for the financial obligations associated with the planning, preparation and execution of the tournament. Unified TKD and its representatives are not liable for any losses incurred. Unified TKD expects that all tournaments will be operated with financial prudence and under fair and reasonable conditions and accessibility for its members. All registration fees will be paid directly to the host/organizing committee. The host will pay a fee of $10 USD per competitor per tournament to Unified TKD. Any breech or misconduct should be reported to Unified TKD immediately for disciplinary action.